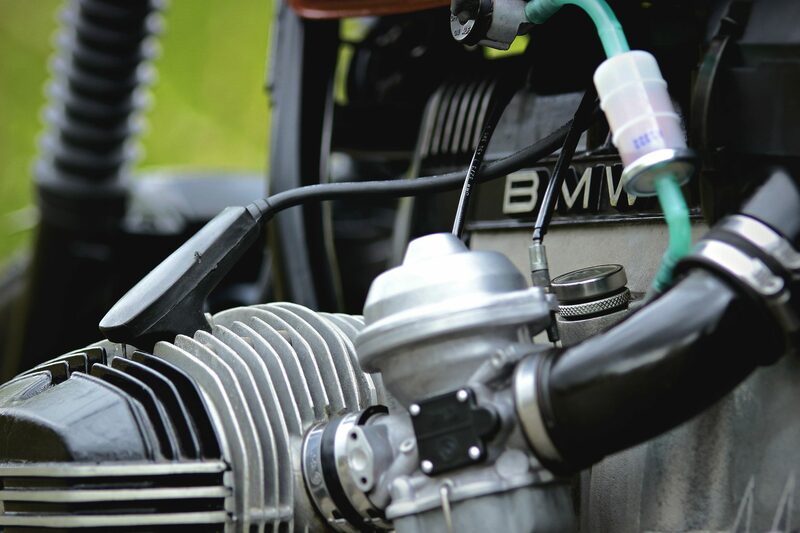 The R80 Monolever was built from 1982 to 1995 and enjoyed solid sales numbers, it was powered by a more-reliable-than-taxes 797.5cc boxer twin producing 49hp and 59Nm of torque. BMW built over 22,000 Monolevers during the life of the model, this means that they’re relatively easy to come by in many parts of the world and as they become a little older and a little less expensive we’re seeing a slow increase in the number of custom motorcycle garages that are taking them on as project bikes. 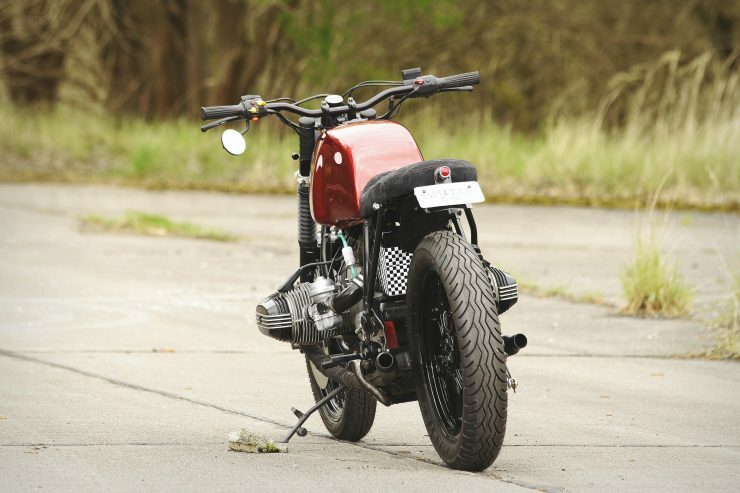 The “T” in “RT” stands for “Touring”, these models had a signifiant fairing added for highway and autobahn cruising at sustained speeds in excess of 100 mph. 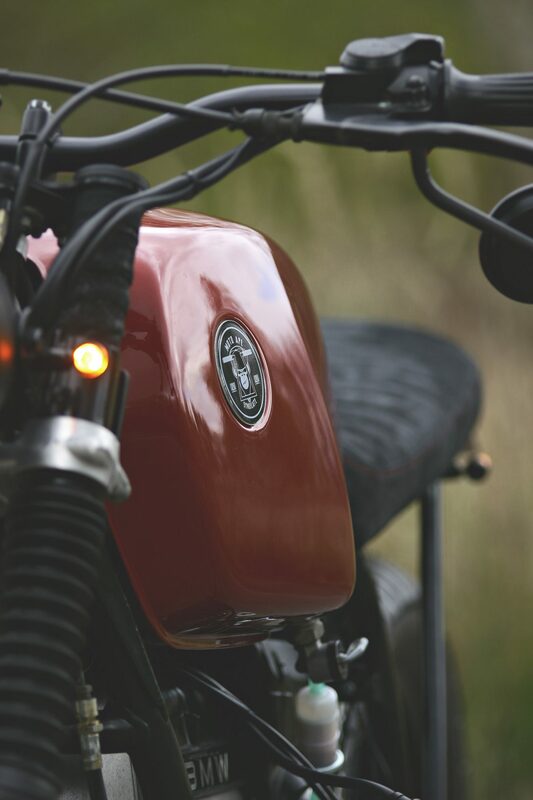 Many were fitted with hard pannier cases that made them ideal for long distance touring, a role they fulfilled in Germany, across Europe and further afield. 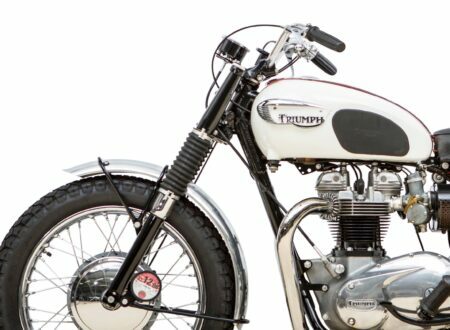 Although it isn’t known how many of the original 22,000 Monolevers have survived to the modern day, I’m willing to bet that the majority of them have survived in some way or other. 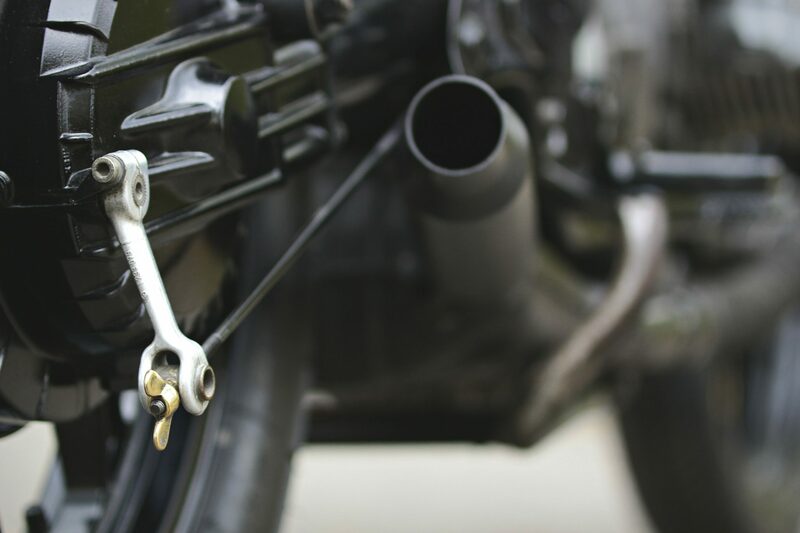 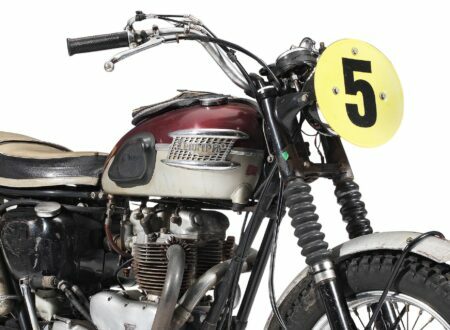 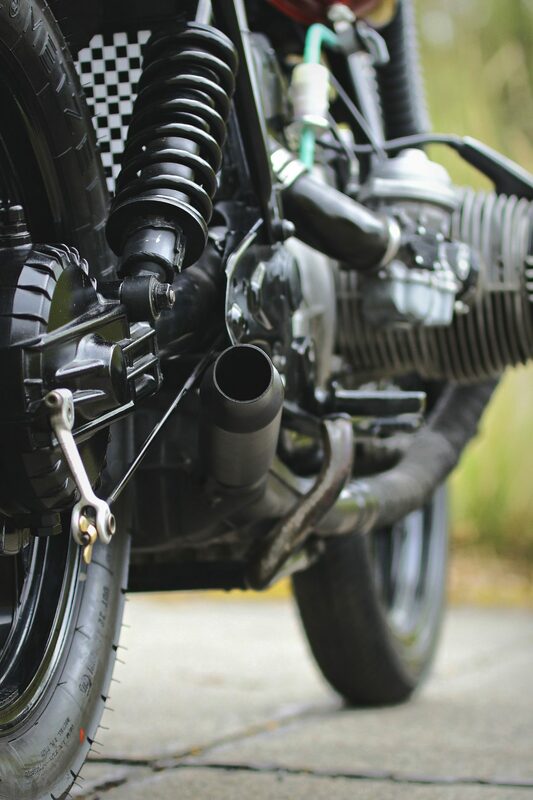 The bulletproof boxer twin engine, reliable 5-speed transmission, and shaft drive are all renowned for their toughness, rivalling the best of the Japanese bikes for reliability. 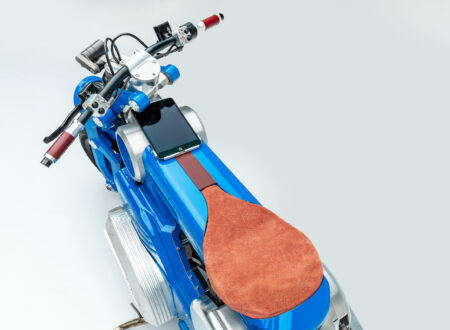 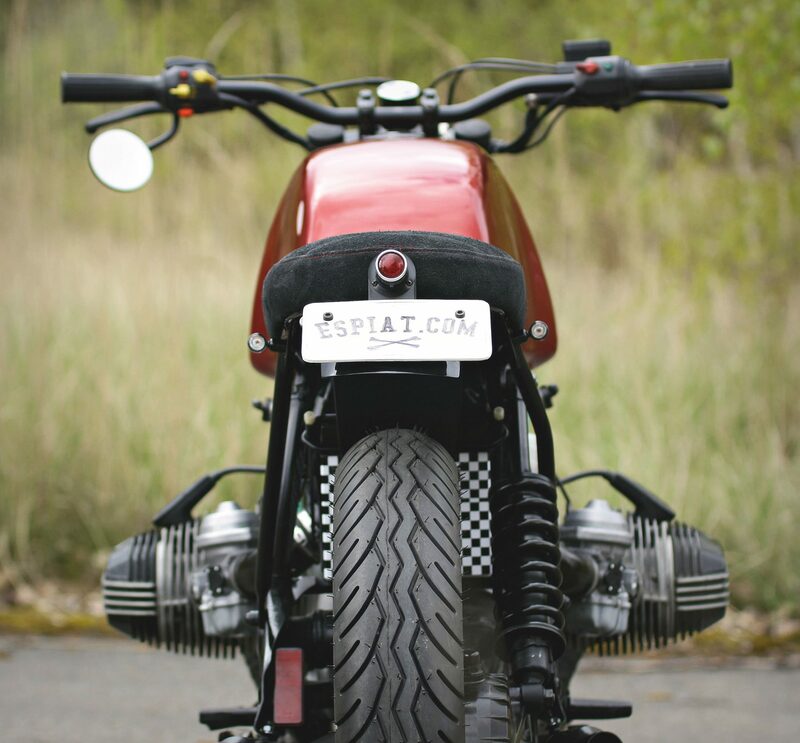 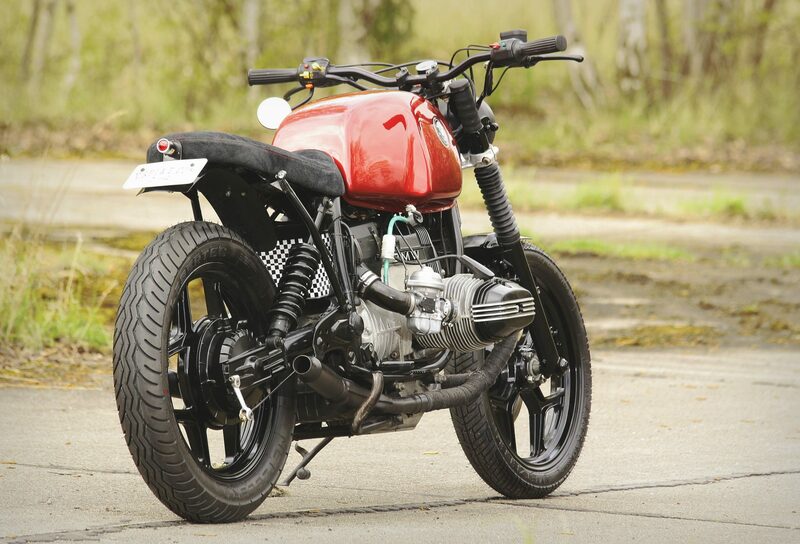 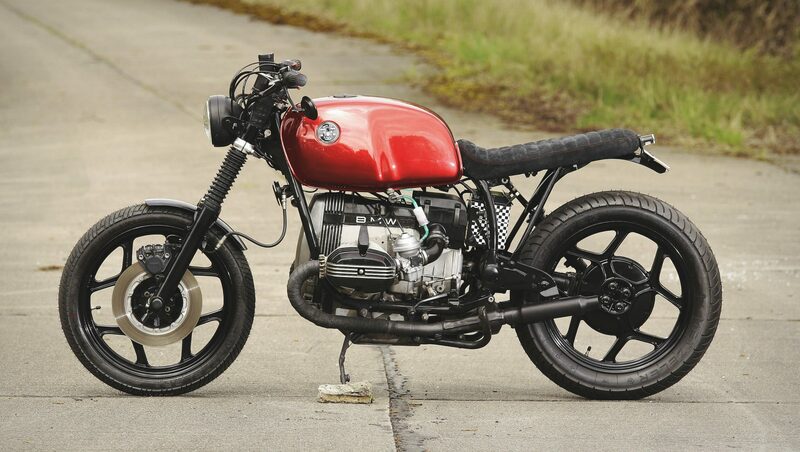 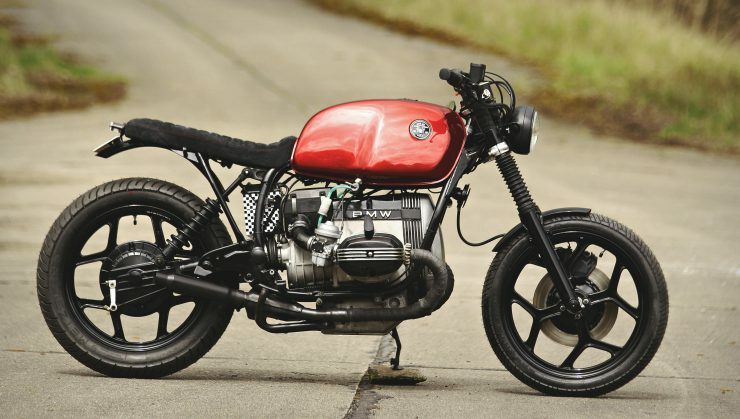 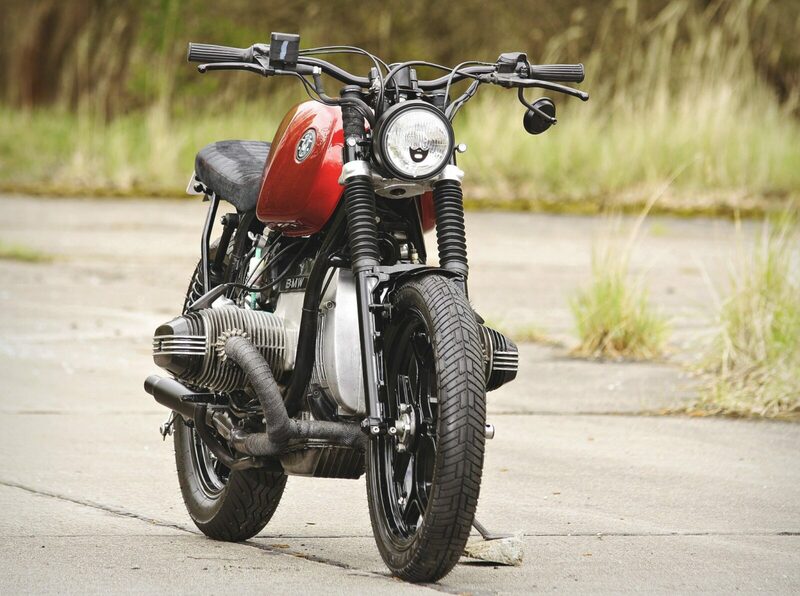 The BMW R80 RT Monolever you see here has been rebuilt by Daniel Schuh of Espiat in the Brat Style that originated in Japan before taking over much of the Western world thanks to the style’s simplicity and usability. 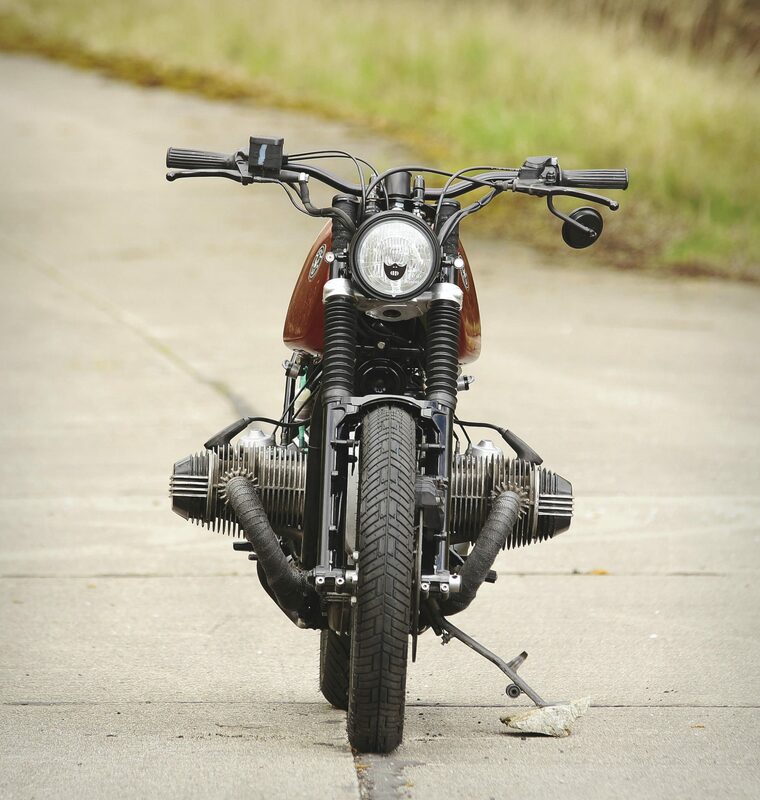 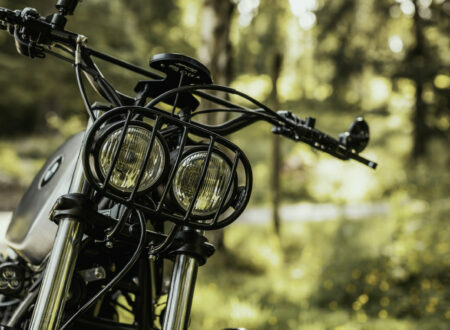 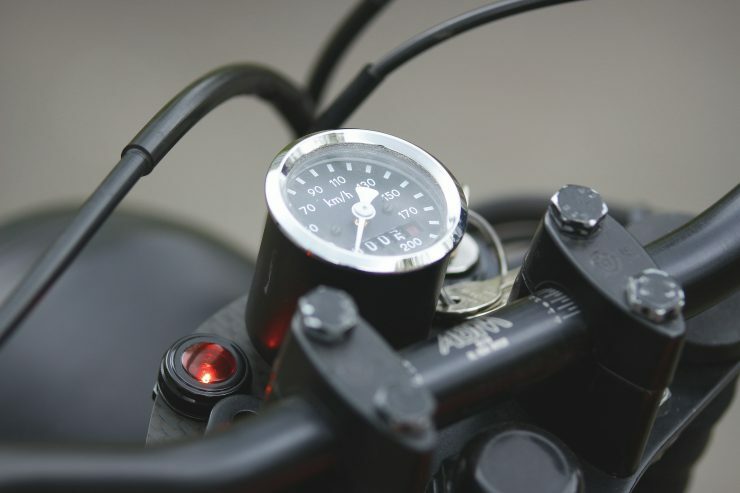 Daniel started by tearing the bike down and cropping the rear frame loop, a new low profile seat was then added, and the electrical system was simplified, a new minimalist speedo was added in place of the original instrument cluster, a new set of handlebars were added, and a new headlight was fitted. 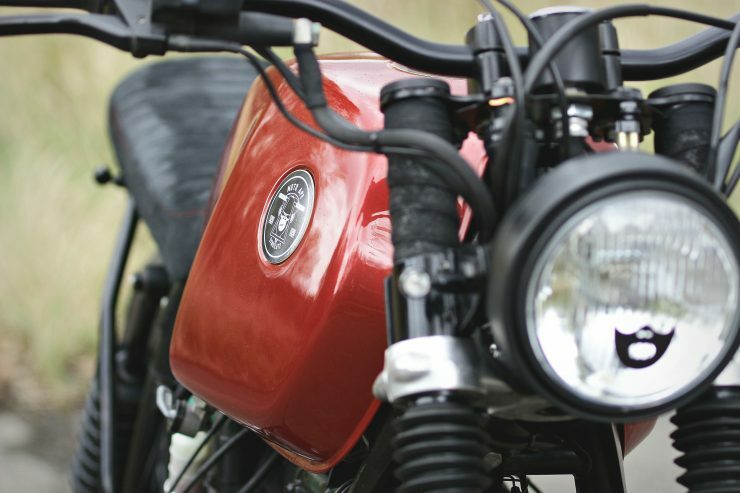 The completed bike is an excellent example of what a daily rider custom motorcycle should really look like, it’s a simple and clean bike that’s eminently usable, and thanks to that boxer twin it’ll start no matter how cold it gets. 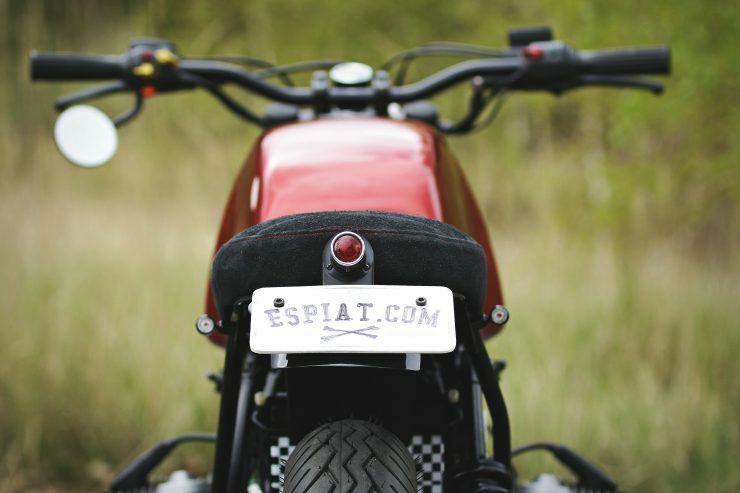 If you’d like to see more from Espiat you can click here to visit their official website, or you can click here to visit their official Instagram.